DATACTIVE PI Stefania Milan is in Berlin on November 8-9, as an invited speaker at the Falling Wall conference 2018. 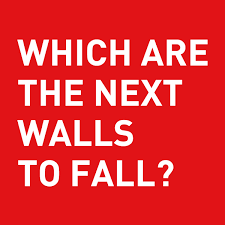 Falling Walls is an annual science event that coincides with the anniversary of the Fall of the Berlin Wall. The one-day scientific conference showcases the research work of international scientists from a wide range of fields. Stefania’s presentation will revolve around the theme of data empowerment. Check out the conference program, and the description. The event is streamed live. Stefania will also attend the Falling Wall Circle, whose theme this year in “Human genius in the age of Artificial Intelligence”.